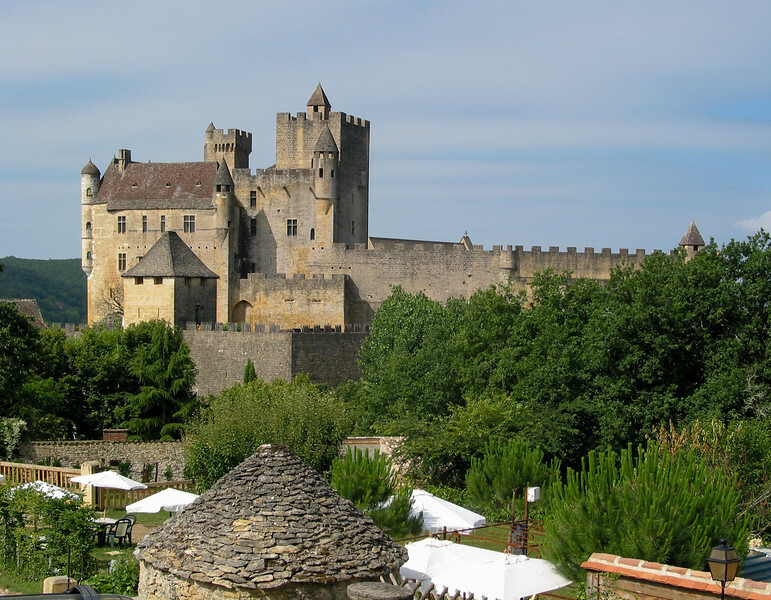 In the 14th century, the Dordogne was on the battle-line between the English and the French, thus many powerful castles were built or strengthened on either side. Earlier, Beynac, one of the four baronies of Périgord, was once the residence of Richard the Lion-Hearted, who ended up being killed nearby. It's on a stunning site: atop 150-meter sheer cliffs above the river Dordogne, with great views over the valley and nearby castles.